Impress your Brazilians friends by learning a dozen useful expressions in Portuguese. 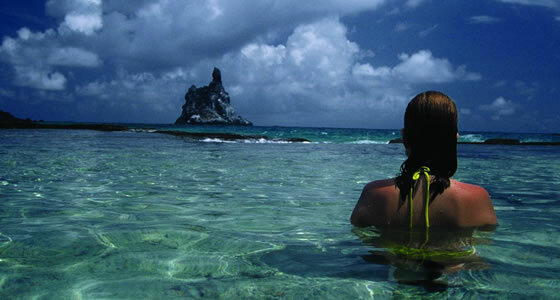 Fernando de Noronha is an island where the language spoken and written is Portuguese. All the sign boards are in Portuguese language, so it would be a good idea to take along a guide. However, you’ll enjoy conversing in the local language, if you pick up few words and phrases. The names of all the beaches are in Portuguese but alternate names are in English, which even the locals are familiar with. Pronunciation of Portuguese is challenging but carrying along a pen and small note pad will help you jot down words and phrases which you can use. The best way to get to know little bit of this language is to learn few words and phrases in advance, this will help you get going. Make sure to be courteous using the local language, the natives truly appreciate this gesture of greetings and courtesy. Feijoada - A Brazilian dish made of meat and legumes.